Hope is what we long for. In a world filled with disappointment and disillusionment from politics to morals to the economy we need hope. The more we look at the word around us the more we see hopelessness. Where do we find hope? 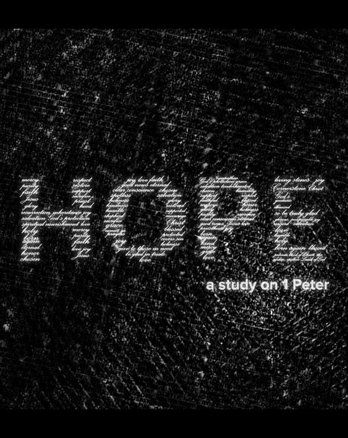 Peter offers hope in eternity through obedience, righteousness, living right, serving, suffering, and humility. Hope is what Jesus offers.